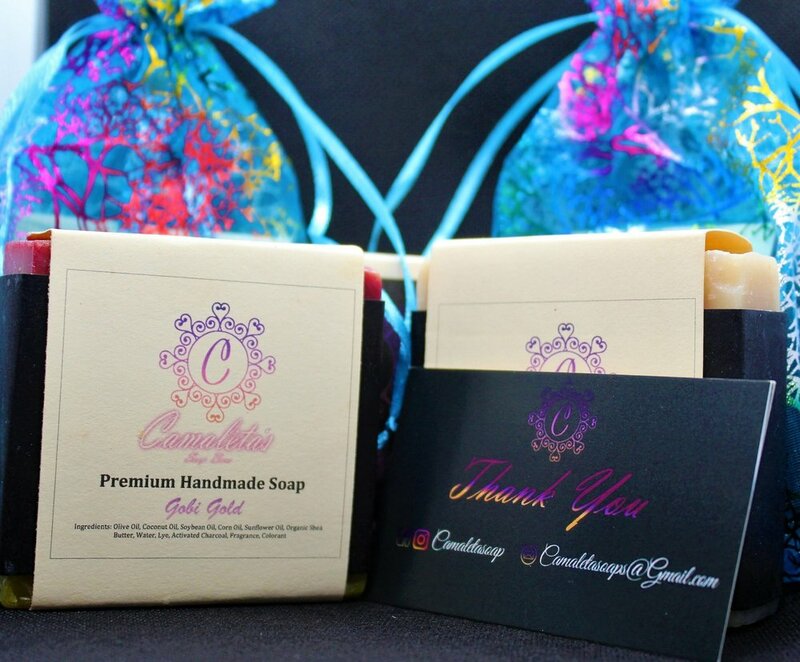 Camaleta’s Soap Bars is an online business that sells natural, cold pressed, handmade bars of soap. It was started in Steamboat Springs, in May of 2018. Camaleta’s Soap Bars was started with the goal of offering moisturizing soaps that are not harsh on the skin, a soap that would help men and women, suffering from dry skin due to factors such as altitude and humidity, especially the harsh Colorado winters. Camaleta's Soap Bars provides fifteen (15) unique soaps from Black Raspberry Vanilla to White Tea Ginger. They are created with natural oils and butters instead of the commercial store bought concoction of synthetic chemicals and detergents. After using our soap, our customers skin should feel soft and supple, not dry and tight as is often the case after using commercial soaps. Hi! My name is Michanae Edwards. I am from Jamaica and have been living in Steamboat Springs for three years. I am a fun, loving, dedicated human being. I love modeling. I love the world and everything in it. I first started this business to pay my tuition at Colorado Mountain College but it has become way more than just a way to pay my bills. I enjoy making people happy, it gives me the greatest satisfaction. Living in this town has given me nothing but opportunities and I have met great people who have guided me on the right path to success. I hope you enjoy my soaps as much as I do.